After a stressful week watching Hurricane Irma tear through the Caribbean and Florida and, for some, a long drive or several connecting flights to find safety, now comes time to recover and relax with good friends and even better music. These ten songs soared through the charts during the summer thanks to unexpected collaborations, feel-good lyrics and catchy beats – and together, they make for the perfect road trip soundtrack. Despite its sad undertones, “XO Tour Life” was undoubtedly played at every party you have been to since the summer. Though many may not have dissected the lyrics, the song manages to address topics such as suicide and betrayal while still being upbeat and catchy. Hunt’s catchy lyrics and country twang create the perfect recipe for a feel-good jam. Though first released on country radio, it made its way to the top of the pop charts, too. The country-pop crossover stayed number one on Billboard’s Hot Country Songs for 20 consecutive weeks and peaked at number six on the Billboard Hot 100. Whether or not you listen to rap, you’ve definitely heard this song. Marking her transition from a no-name artist to reality show rapper and world-wide sensation, Cardi B created the female anthem of the year. “I love this song because it makes me feel empowered and that, as a woman, I’m invincible,” said Makelsey Page, a UM freshman majoring in marine and geological science. Many feminists felt Lamar was putting down women who photoshop and alter their appearances, but “HUMBLE.” was still the highest debuting hip-hop single since Eminem’s “Love the Way You Lie” in 2010. Oh, and the video is a standout, too. “Stay” features a fusion of Zedd’s signature electronic beats with Alessia Cara’s upbeat, “poppy” style, making it the perfect song to sing with friends, with the windows down riding down I-95. If there’s one thing people love, it’s a pop-rap crossover. This song appeals to both pop and hip-hop fans, featuring some of the hottest rappers on the charts. This song was the first rap song to land number one on the Hot 100 since Eminem’s “Not Afraid” in 2010. In the upbeat, funky take on a classic love song, Mars lists all the things he likes (silk sheets, champagne on ice) and makes it clear he wants to share them with a special someone. 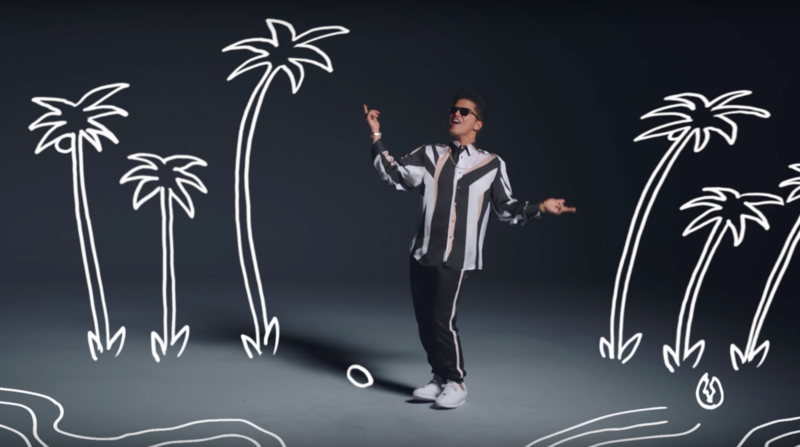 Bruno Mars always delivers lasting hits, and this is no exception. Featuring inspiration from the dancehall genre and the xylophone, guitar and percussion instruments, the song shows a different side of Ed Sheeran. In this song, he focuses more on physical attraction than in his previous music. It paid off, as the song, released in January, is still high on Billboard’s Hot 100. An R&B match made in heaven, Bryson Tiller and Rihanna, under the production of DJ Khaled, gave us a dance track with heavy Latin inspiration. Sampling the 1999 Latin rock song “Maria Maria” by Santana, it’s different from what we usually hear on the radio. Nonetheless, it peaked at number two on Billboard’s Hot 100, making “Wild Thoughts” Rihanna’s 31st top 10 song, DJ Khaled’s third and Bryson Tiller’s first. Love it or hate it, you’ve definitely heard it. A remix to the original “Despacito,“ this song was everywhere this summer, despite some backlash regarding Bieber’s poor pronunciation of the Spanish lyrics. “It’s super catchy, and since it’s in both Spanish and English, people who speak both languages like it,” said Sabrina Ullman, a freshman double majoring in broadcast journalism and meteorology. “Despacito” became the first song primarily in Spanish since the “Macarena” to land number one on Billboard’s Hot 100.